Ramil Davliev, the chief power engineer and the head of the department of the chief power engineer of TAIF-NK PSC became the Honored Power Engineer of the Republic of Tatarstan. The awards ceremony took place in the Kazan Kremlin, where the Chairman of the State Council of the Republic of Tatarstan, Farid Mukhametshin, presented the state awards of the Russian Federation and the Republic of Tatarstan. More details are given in the package. The Republic of Tatarstan as one of the most sustainable regions in Russia displays ever-increasing rates of growth. Owing to the biggest oil and gas and chemical operators located in its territory Tatarstan managed to set up the core of the manufacturing complex which development program involves a substantial scope of the activities aimed at upgrading of the existing production capacities and building of new ones. The TAIF-NK Public Stock Company makes part of the TAIF Group – the Republic’s largest holding company in terms of the petrochemical and oil refining operations, with TAIF-NK representing a new generation in the oil-refining sector. Intensive implementation of the trend-setting process technologies in combination with the effective social policy allows TAIF-NK to maintain the high quality output contributing to the competitive potential of the company. Design Engineers of TAIF-NK Design and Engineering Department are placed on the National register of experts in engineering surveys and architecture and construction design. Design Engineers of TAIF-NK Design and Engineering Department are placed on the National register of experts in engineering surveys and architecture and construction design. TAIF-NK Design and Engineering Department female employees – Alekseeva Vera, Ivanova Olga, Satdarova Liliya are placed on the National register of experts in engineering surveys and architecture and construction design pursuant to the Order of Ministry of Construction, Housing and Utilities of the Russian Federation. According to official site NOPRIZ. TAIF-NK products are winners of the contest “100 Best Goods of Russia 2017” Viscos construction bitumen grade БНД 50/70 becomes laureate of prestige contest “100 Best Goods of Russia 2017”. Bitumen produced as per new standard science June 1, 2016 has increased resistance and permits to extend the life of asphalt mix that is highly appreciated by experts. TAIF-NK takes part in the 24th international specialized exhibition «Oil, gas. Petrochemistry», which is held from September 6th through September 8th in the exhibition center «Kazan trade fair» as a part of the Tatarstan oil and gas petrochemical forum. TAIF-NK`s staff takes part in demonstration of Nizhnekamsk workers` associations On September 8th, the Nizhnekamsk citizens celebrate the 51st birthday of their city and the 50th anniversary of PAO Nizhnekamskneftekhim. About 300 employees of TAIF-NK equipped with festive stuff, balls and banners take part in one of the brightest and major events, which is the traditional parade. 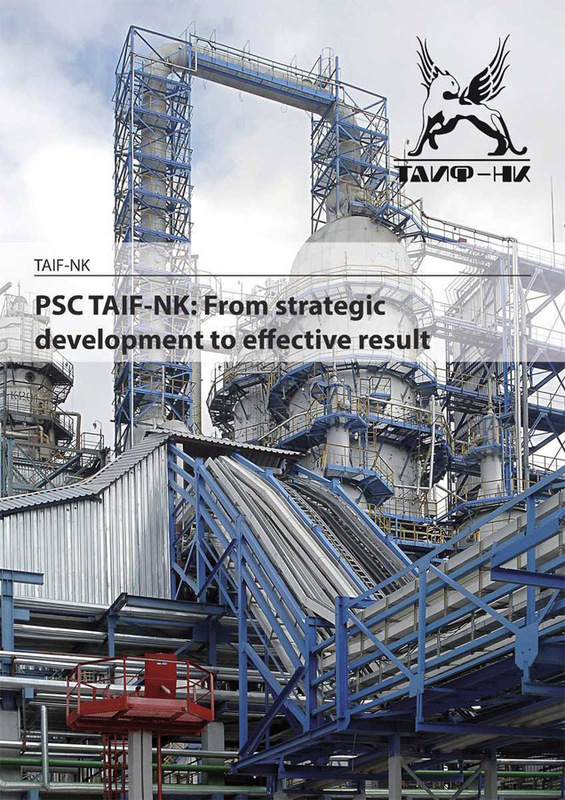 PSC TAIF-NK: From strategic development to effective result. Petrochemical industry of Tatarstan is the most innovative and active sector of the economy of the republic. PSC TAIF-NK is one of the leaders in the industry. It is a promising modern enterprise active in the refining sector, which implements innovative projects and develops new high-tech production. «Tatarstan» journal, №12, December 2013. TAIF-NK PSC: trends leading to result. The basis of TAIF-NK strategy is dynamic development, improvement of technological processes and innovation management. The rate of transfering of the Company's refining capacity to motor fuel of high ecological standards is ahead of the Technical Regulations of the Government of Russian Federation and is fully consistent with the Program of modernizations of refineries in Russia. Building an efficient refinery is a national priority today. 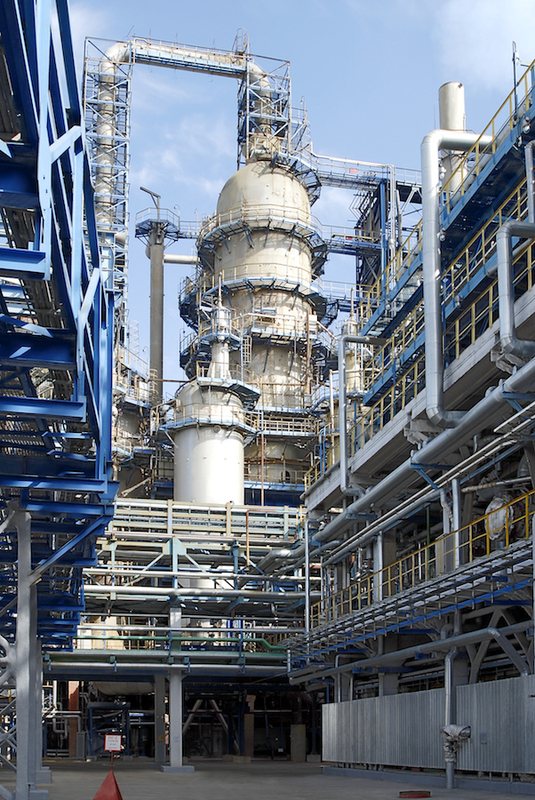 Modern trends in the industry are aimed to deepening the oil refining and to the implementation of new projects. Economic Development Program of Tatarstan is directly related to the petrochemistry and refinery, where the main problems are increasing the amount, the efficiency and quality of oil refining, which is impossible without the implementation of innovative technologies. 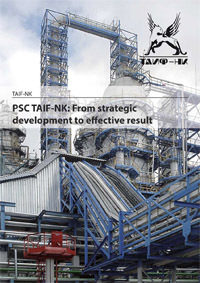 TAIF –NK PSC the main member of the refining sector of petrochemical complex of Tatarstan Republic. Implementation of programs, which have big importance for the development of the Republic, is the main focus of the Company.Since the foundation in 1998, the Company is constantly evolving and increasing capacities. 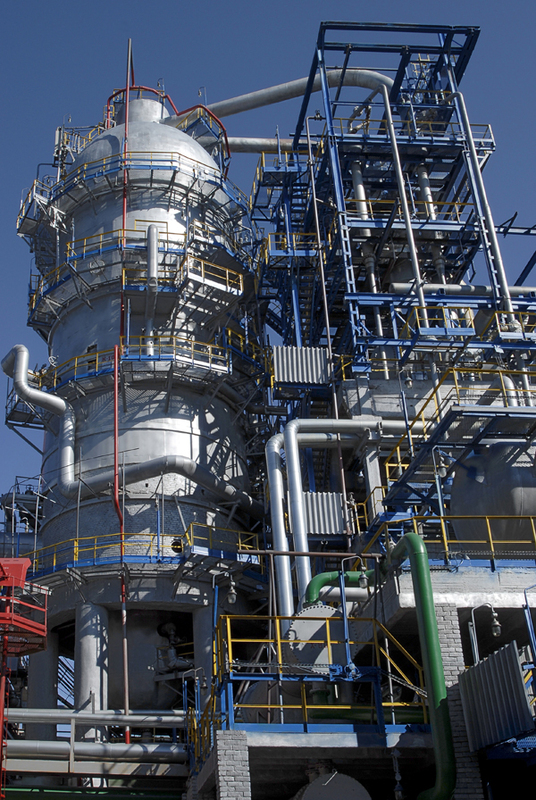 The goal of all initiatives is increasing the depth of oil refining, production of high-quality products, as well as intermediate products for the needs of the chemical and petrochemical industry of Tatarstan Repblic. For many years the governmental energy strategy of Russia has been providing the raw vector development of the country and orienting Russian Energy to increase the amount of energy production with the purpose of export. Tatarstan Republic, which has large reserves of hydrocarbons and which is leading in oil production in Russia, has remained only as a supplier of raw materials for more than half century. The absence of oil refining industry as a major technological element affected the region’s whole economy and as a consequence, affected the development of the whole country. TAIF PSC created its own branch – TAIF-NK on territory of Nizhnekamsk industrial area in 1997 with purpose of implementation of these tasks. Today the Company is the leader of the oil refining sector of Oil, Gas and Chemistry Complex of Tatarstan Republic. 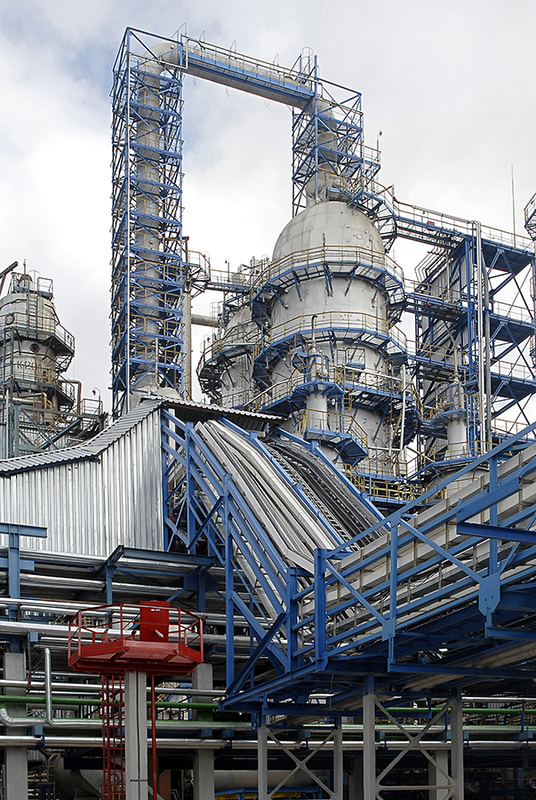 Petrochemical Complex is the most dynamic sector of the economy of Tatarstan . One of the leading places in it belongs to TAIF-NK - modern refinery, which is actively creating new and developing existing high-tech industries. Rates on innovation have allowed the Company to come close to solving the maximum problem just in fifteen years: to provide 95% refining depth and stop production of dark oil by 2016. General Director of the Company Amil Kalimullin told about the history and prospects of TAIF-NK PSC.